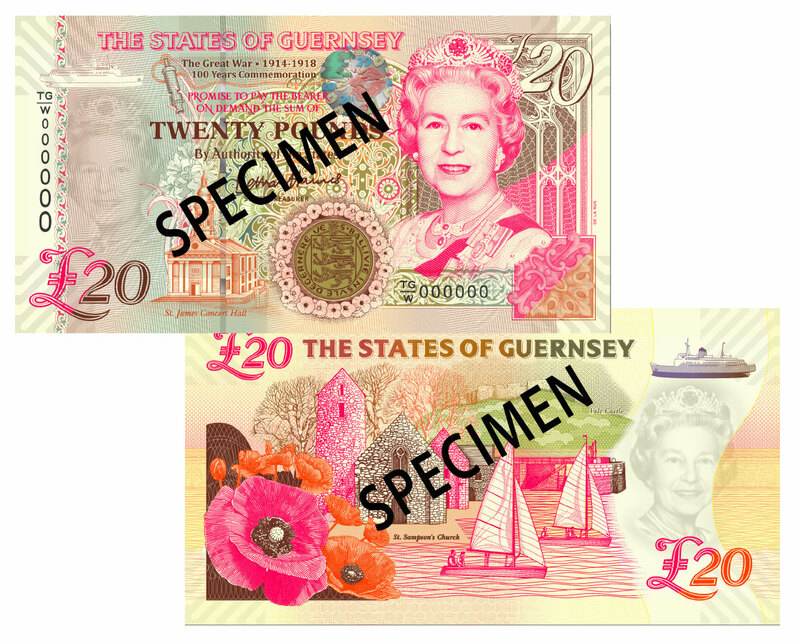 The States of Guernsey is delighted to present a new version of the £20 to commemorate 100 years since the end of the First World War (1914 – 1918). These notes are available to purchase as uncirculated notes in Mint Condition. Please note all orders will be sent by registered post at a charge of £8. Please select registered £8 postal option when ordering. Due to insurance levels the maximum order value to the UK, Jersey, Guernsey and the Isle of Man is £500 and the maximum order value to all other destinations is £100. If you require £500+ or £100+, you will need to place multiple orders (maximum of £500/£100 each order), please note each order will incur a shipping fee. For queries on large orders please contact our Customer Service Team on 01481 716486. 'D' Prefix Guernsey Bank Note. As well as Her Majesty The Queen, this note includes illustrations of St James Concert Hall, St Sampson's Church and Vale Castle. They have been designed and printe..
'E' Prefix Guernsey Bank Note. As well as Her Majesty The Queen, this note includes illustrations of St James Concert Hall, St Sampson's Church and Vale Castle. 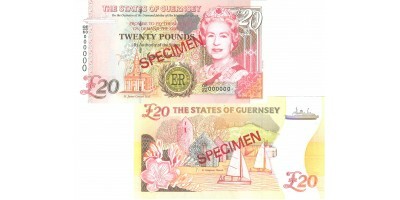 They have been designed and printed by ..
Diamond Jubilee Guernsey Bank Note. The notes include the prefix QE60, a commemorative laurel wreath and additional wording as shown in the image. Only 150,000 of these special notes h..
'C' Prefix Guernsey Bank Note. As well as Her Majesty The Queen, this note includes illustrations of St James Concert Hall, St Sampson's Church and Vale Castle. They have been designed and printed by ..